I know. I know. So, what am I doing buying strawberries in March. It isn’t even strawberry season. Truth to tell I was lulled into buying them. They looked so delicious. So red. They weren’t obscenely large and they were organic. Even though I rail against buying food out of season, I occasionally get caught up in the siren call of the grocery store. 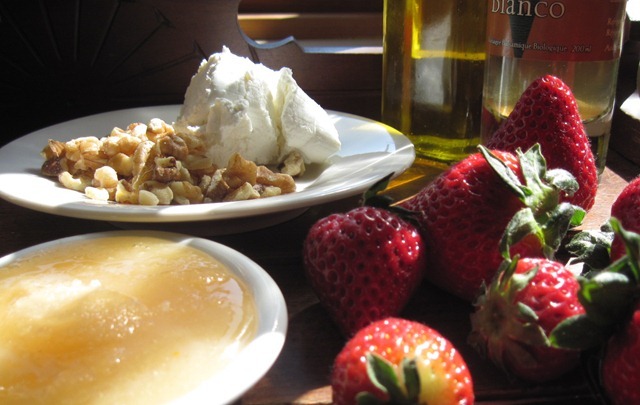 I use white balsamic vinegar in this recipe as I prefer the look of bright red strawberries that haven’t been browned down from using a dark balsamic. 1. Combine the first four ingredients in your salad bowl. 2. Add the strawberries and toss. Let macerate for 20 minutes. 3. Add salad greens to the bowl and toss to combine. Equally divide salad among plates and top with nuggets of goat cheese and toasted walnuts. Or, alternately, toss everything together and self serve. 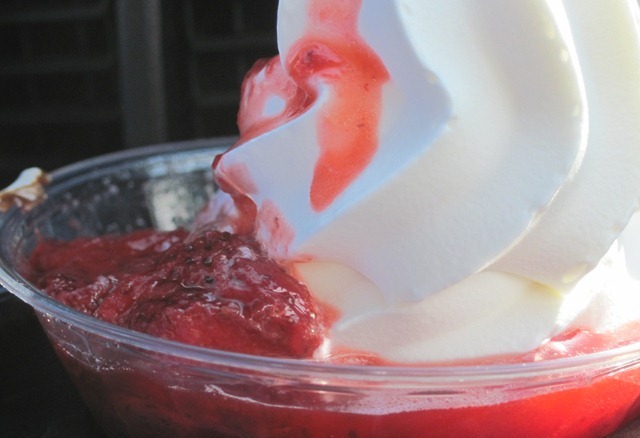 …a strawberry sundae – the first of the season. Is your vehicle equipped with this option? What you accomplish with the recipes I share with you is what makes me eager to share more. As always, I thank you for following. 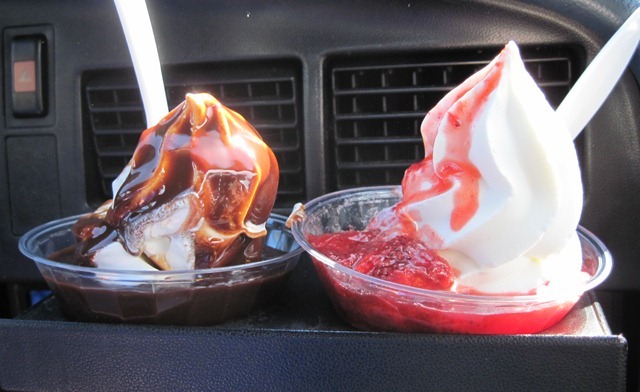 And remember, it’s never too early in the season to enjoy strawberries or sundaes. Right Brenda? I love, love, love strawberries and have been known to eat so many that I got hives… and I’m not even allergic to strawberries!!! We also were sucked into the strawberrys this week, i made some fresh strawberry ice cream!!! Wow! An adventure with my sister makes it onto the Vinegartart website! Such an special honour! 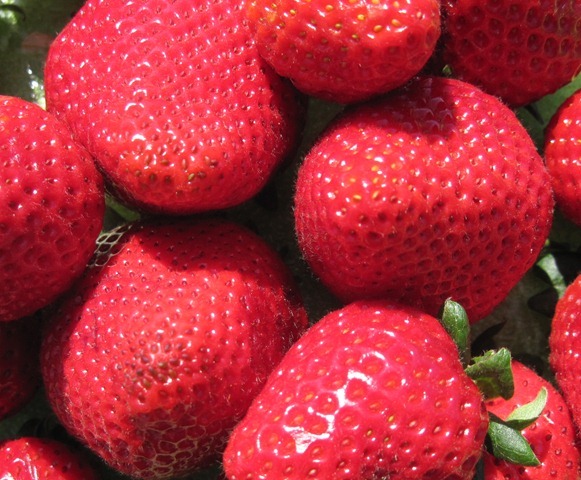 Glad to have the gussied up strawberries and greens recipe too…totally improves the taste of the strawberries available now…I’m such a sucker for the bright red colour too! Just wanted to make sure you were paying attention!